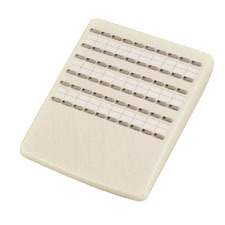 DK-DSS (Direct Station Selection) is a stand-alone device that is connected to Gx series system through DK port. It functions as extensional buttons for attendant console, so that she could have more buttons on her phone to manipulate the calls efficiently. There are more than one DK-DSS could be assigned to work with one attendant console. All models the DK-DSSâ€™s function is same except the appearance is different to match the style of each DK series Digital key phones. All the buttons on the DK-DSS could be assigned to CO, extension or special functions. Appearance is matched with DK1 series DK phone. 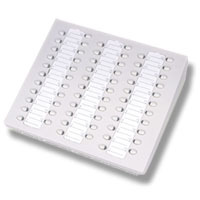 60 buttons with dual-color LEDs. Appearance is matched with DK2 and DK3 series DK phone. 66 buttons with dual-color LEDs.